The Westerner’s Guide to Nigeria and Boko Haram: An Introduction – No Fly on the WALL. Over two months ago, on the night of the 14th of April 2014, 276 school girls were abducted from their dorm rooms in their secondary school in the village of Chibok, Northern Nigeria. Nine weeks on, as the world forgets them, we at No Fly on the WALL, after a long period of mulling over and personal individual deliberation, are now using this platform to bring to you some thoughts from Nigerians and observers outside the country that we know, in order to do our part to revive the conversation – at least in our little corner of the Internet. Now that the #BringBackOurGirls hashtag’s popularity is in decline and the celebrities and other big names are no longer posting selfies with their placards; now that the papers are reporting on the progress or lack of progress of the so-called hunt for the girls less and less (if it were even possible); now that the marches have stopped and the Nigerian Embassy in London is safe from protesters once more, we ask you, what do we do now? 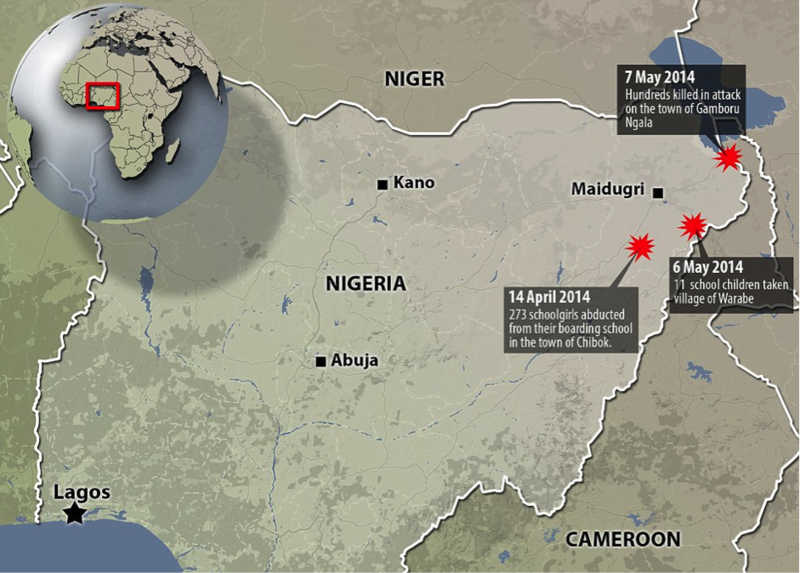 Starting with an article by Daniel Shodipo – who makes his NFotW debut here – we give you an overview of the history of Boko Haram’s vigilante/ Terrorist activity in Nigeria and, from the perspective of a British Nigerian who found himself in Nigeria at the time of the abductions, we hope to offer more insight into the current situation in Nigeria. We hope that it goes without saying that the abduction of over 200 girls from their school simply because they were being offered “Western Education” is a Feminist issue. We hope that the captivity of human beings as though they were animals strikes you as being a diabolical infirngement of Human Rights and absolutely, categorically unacceptable. We hope that all those who believe in freedom and equality for all will join us in attempting to revive the conversation that once was (be it for a brief period of time, at least as far as Western Media is concerned). Most of all, we hope that the Nigerian Government will do more to ensure the safe return of these innocent children, these young girls full of promise, and punish Boko Haram for their numerous crimes over the years. We hope these girls will not end up as yet another story, another lost cause, another social media fad (see: Kony 2012). We hope this article, and any others to follow, will help educate us all on the complexities of the issues that face Nigeria and perhaps help us work out what small things we can do, as members of the Global Community, to keep pushing the Nigerian government to do something and to remind them that all eyese are on them. And that all eyes will remain on them until all the abducted girls are safely returned to their families and friends. The Easter holidays granted me the opportunity to return to the land of my parents for the burial of my Grandfather. The festivities were based in the Megacity, Lagos (aka Las Gidi), the economic focal point of Nigeria. 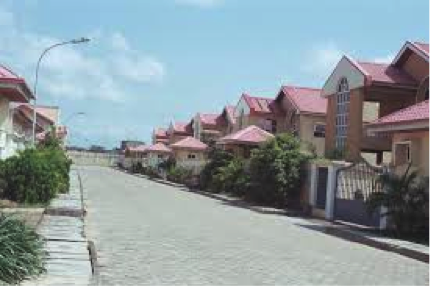 “Lagosians” enjoy a higher standard of living compared to other city dwellers in Nigeria. I lived in the city whilst I was in secondary school for six years. After my seven year hiatus, changes to the city’s benefit were evident. From cleaner streets, to safer public transportation, new road signs and improvements to road travel in general. 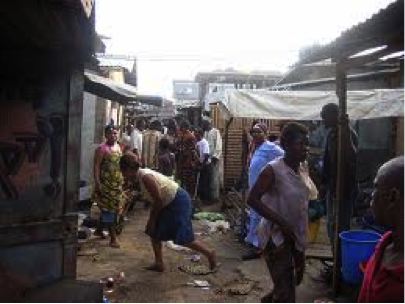 Lagos, with an estimated population of 21 million people appeared to be in order. It was amazing to see the advances brought about by the state government, which has added weight to Nigeria becoming the biggest economy in Africa and a true giant within the continent. In contrast, the majority of people in Borno – a state in North East Nigeria – still experience abject poverty. This has fuelled the rise in Islamic militancy over the last five years in the form of Boko Haram. Having been in the country for almost a week already, on the 26th of April, I glanced at the front page of the national newspaper‎, The Punch, and there was a column on the abduction of over 200 Nigerian girls (although at this point the number was thought to be 149 and Boko Haram had yet to claim responsibility). Without having the exact number, names or pictures of the girls or any known suspects, the story had been relegated to a tiny column on the front page – another example of the ongoing divide between Northern and Southern Nigerians, and even more so, the numbness of Southerners to the constant calamities occuring in the North. Judging by the number of girls initially quoted and that it occurred whilst they slept in school dorms, you would expect more attention would be given to such a devastating event. My heart immediately went out to the girls and their families. Poignant because, amongst other reasons, this could have easily happened to anyone. At the time I thought it was extremely weird that the mood hadn’t changed in Lagos and life seemed to continue as normal. Having been in the UK when Madeline McCann was kidnapped whilst on holiday, I expected a similar if not greater response from the UK due to the extent of the abductions and the callousness of its manner. Especially considering the West’s history of indignation over atrocities occurring in the rest of the world: the outcry over Kony in Uganda in 2012, Syria, Iraq, and the crisis in Russia and Ukraine, one would expect the reaction to have been more intense much sooner. The fear of Lagosians towards such a threat was non-existent. 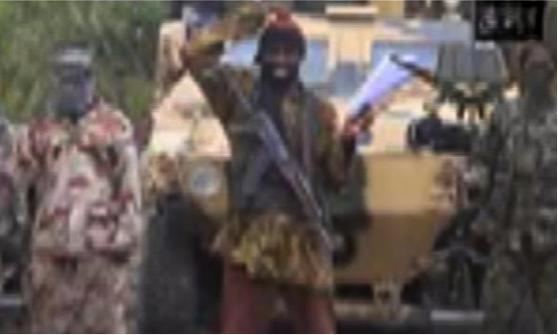 On the morning of Monday 5th May 2014, the video of the leader of Boko Haram Abubakar Shekau boasting responsibility for the kidnappings had circulated the Internet. Initially the group’s intentions for the girls was for them to be sold off into marriage, however these terms have recently changed as the group attempt to barter the girls for their imprisoned comrades. The international media had its attention fixed firmly on the separatist problems affecting the people of Nigeria and our government, somewhat misguidedly. To fully appreciate the acts committed by this group of terrorists and the delay in response of the government, you have to understand how Nigeria as a country works. The country is divided into three major “Nations”: the Yoruba in the South West,made up of a mix of Christians, Muslims and those that follow the traditional ways of their forefathers; then we have the Igbo in the South East, consisting primarily of Christians; and finally we have the Hausa in the North, who follow Islam. The literacy levels and income disparity are gaping along these lines. The southern states are blessed with the largest oil reserves in Africa which has greatly helped commerce, however poverty is still a concern within this large region (see figure 2 and 3). Such conditions aren’t ideal for a secular nation whose indigenes are extremely resilient and religious. The conditions experienced by the masses, have manifested as symptoms in the oil rich Niger Delta region in the form of MEND (Movement for the Emancipation of the Niger Delta) and in the North Eastern states as Boko Haram (meaning Western Education is forbidden). Boko Haram recruits the youth from the poorest northern states which suffer from low literacy. This has allowed the ruling northern politicians to go largely unchecked by the poorly educated masses. The acts of Boko Haram have been allowed to persist due to the misappropriation of funds by the government on every level‎. However with the Northern youths being largely poor, who is arming Boko Haram (see figure 4)? There are those in government suspecting financial support is coming from within and also from abroad. Nigeria is essentially a privatised nation. If you want the best goods and services, travelling abroad (a luxury for many) and the private sector are your only options. Electricity supply is erratic, causing the indigenes to purchase electrical generators to power their homes and businesses. Wells and Boreholes have to be constructed due to the lack of trust in the public water system. Security has been a major issue as the police are not to be trusted (if you require safety the palms of police officers have to be “greased”). Every big business place from hotels to fast food joints, has to hire or contract private security firms due to the essential lack of trust in the federal government to protect its people. Education has not been an exception to this wave of privatisation, with majority of the schools being privately owned. In the Northern states the outlook is even even more grim. According to Sanusi Lamido, the governor of the Central Bank of Nigeria turned whistle-blower, 93% of the girls are thought to be illiterate, with only 3% of girls completing secondary school within the northern states of the country. Traditional roles are still the way of life in the country, where it is normal for women to be considered of a lower social status compared to men. Many parents, due to the poverty, send their children to work as opposed to school, which contributes to the vicious cycle and poverty becomes the norm. As a means of raising money for their families, daughters are given up for marriage in exchange for a “dowry” or bride price as compensation. The #BringBackOurGirls campaign was a response to the absence of support from all levels of government towards the kidnapping of hundreds of female pupils. By utilising demonstrations and social media the attention of the international community and Nigerian government was captured (slowly but eventually). As a Nigerian, I appreciate the help from the international community for the worldwide coverage and forcing the hand of our government. However I am concerned that the global buzz created by this hashtag will fizzle out just like with #KONY2012. The #BringBackOurGirls campaign has encouraged western governments and China to supply intelligence towards finding the girls. Unfortunately I am not hopeful for the long term prospects of such aid as it may eventually lead to foreign military intervention. We only have to look to recent history in Afghanistan, Iraq and Libya to see how such an intervention in national problems may destabilise a country. However the kidnappings appear to be the least of the nation’s problems as focus has been placed on the incompetence and corruption rife within the government. The Borno State Government had been advised by the West African Exam Council (WAEC) to close the schools ahead of the exams for fear of the security conditions. The state government had assured WAEC that security measurements had been put in place. Three weeks after the abductions, President Goodluck Jonathan assured the nation and the world that ‘Wherever these girls are we will surely get them out’. However a few days before this the first lady, Mrs Patience Jonathan had two female leaders of the protest arrested, for allegedly belonging to Boko Haram and for trying to besmirch the image of the federal government. Considering the circumstances this event may be what Nigeria has needed. From Nigeria to the UK, to Canada, to the USA – people, irrespective of race, gender and religion have tried to do their part to ensure the safe delivery of the girls. Finally the imagination of the global community was captured, with celebrities and other influential persons coming to the fore to demand that ‘Our Girls’ be brought home unharmed. This unfortunate event has made me feel as part of a collective and even prouder of my heritage. Now the ball is in the court of the people of Nigeria. This is the most stressful time within the nation, since its unity was threatened during the Civil War of the late 60s. The people of Nigeria and her diaspora need to continue to work together to pressure our government. Now the Nigerian Government needs to take their eyes off of the 2015 elections and do their job in protecting and serving every Nigerian, regardless of their gender, sexuality, tribe or religion. All eyes are on the Nigerian government to do everything within their power to #BringBackOurGirls . 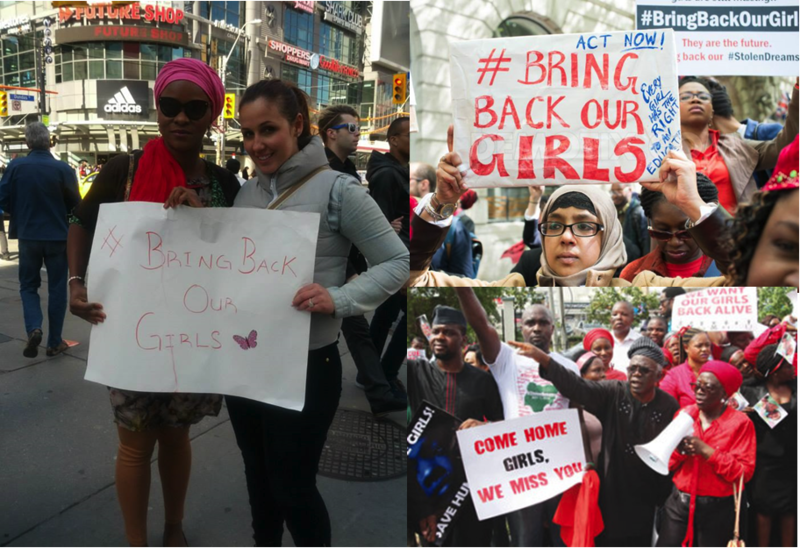 Pingback: One Year On: Why I Refuse to Forget the Chibok Girls | No Fly on the WALL.